I received this sample and I will definitely buy it! It has done a great job at disinfecting my home and with 6 kids and living on a farm that's a tough job to keep up with! Easy to use can that sprays evenly and has a fresh scent. Not over powering but definitely gets my surfaces clean. easy to use instructions and quick. The only product I trust to keep my home clean and the most effective at killing bad germs. I love the fact that it kills the flu virus!!! 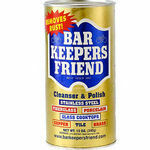 This is a great disinfectant to use! You can use it on almost any surface. I use it daily. During the flu season I use it multiple times a day. I spray door handles, toilet seats, counter tops, toys, furniture, blankets, curtains, etc. I even spray it in the air if someone is sick. It comes in several different scents. If you haven't bought it, then you should! 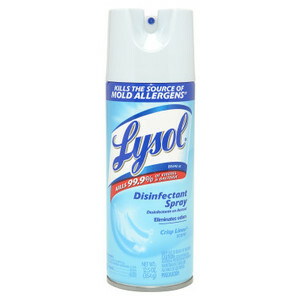 If you have never tried Lysol Disinfectant Spray, you really should consider it. I have two children, a husband who might as well be a child sometimes, two dogs, and a cat so being able to disinfect things is a must! This is a cheap product that you can find at any store and it works great! The smell isn't great, but it isn't bad either. Having Lysol Disinfectant Spray around is a life saver when your children get sick. It helps them to get better a lot faster if you can disinfect everything in the house the whole time they are sick. It also helps to keep viruses from spreading and infecting other people in your home if you use Lysol Disinfectant Spray often. Performance Lysol Disinfectant spray is great if you have children and animals. It is also great to have around if anyone gets sick. I even spray my money with it from time to time, after all, you just never know where your money has been. It works! It has to work...it's been around forever!! I am in my middle 50's and I don't think I can remember a time when Lysol Spray Disinfectant wasn't in my bathroom cupboard. It has always been that product that does more than scent the air, but also disinfect by killing germs that are airborne and also on surfaces. I have used it to spray counters, showers, toilets, phone handsets (does everyone remember them?? ), door knobs, and drawer pulls. There is nothing worse than trying to keep colds and flu from spreading to others in the house when one gets sick, but Lysol Spray Disinfectant does make that chore a little easier. In today's health conscious world, there are a million different disinfectants and anti-bacterial products on the market. My theory is that Lysol has been on the market longer than most, and it wouldn't still be on the market if it wasn't successful in its purpose. I recommend Lysol Spray Disinfectant to help keep your home and loved ones free of unwanted germs. 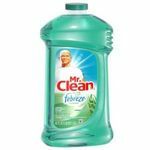 Performance Can't scientifically say that it works, but I do know that when I am adamant about using it to clean the air and surfaces, colds and flu seem to be less aggressive in their transmission. Scent OK, the original Lysol scent was never my favorite. Today Lysol has a number of different scents to choose from. My favorite? Crisp Linen is my first choice, and Vanilla Blossoms is my second choice. I always have this in my bathroom. I give this product a 10, I love it and always have a can sitting on my bathroom counter. Having children and pets tends to be a little messy, and sometimes smelly. 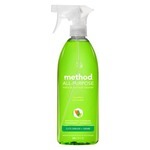 This product works really well for an air freshener or a cleaner/ sanitizer. One of the things I like to use this spray for is the bathtub and the toilet. Since those places usually collect the most bacteria and mold, I like to spray this on there to keep it fresh and clean. I have noticed it also cuts down on the soap scum collection around the bottom parts of the shower. My only complaint with this product is that when the can gets so low, the top part of the can has trouble spraying it out. I usually have to throw the can away when clearly there's still 5-6 uses in it. Other than that I have only good things to say about my Lysol disinfectant spray. Performance The performance itself is great, my bathroom stays smelling fresh when I spray this. And it also keeps the mold and soap scum away. Scent The scent is very fresh and clean smelling. Love it! Lysol disinfectant spray has a horrible scent, but I still rate it a ten because it is number one at doing its job of killing bacteria and germs. It is so easy to use; you just spray and the germs are dead. It can be used on any surface and is perfect for the flu season, especially in high traffic areas such as in the office. 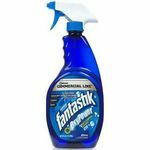 Just spray it on highly touched items such as remotes, doorknobs, telephones and handles. I also love this spray because it can be used on cloth furniture. There really is no way to clean cushions on chairs, but you can kill all the germs living there with a simple spray of Lysol. I also love it because it can kill germs in the air also. Eliminating odors is another awesome trait of Lysol. I like to use it in trash cans where the smell can make you sick because you just know there are so many germs growing inside. 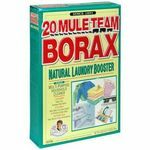 It is even useful as a cleaner in a pinch if you spray some and wipe up with a paper towel or cloth. This is a must have for every office and home. Lysol Disinfectant Spray is the easiest way to disinfect surfaces in your home. It kills 99.9% of viruses, bacteria, mold and mildew. It is the quickest way to disinfect surfaces that are touched by others to prevent the spread of illnesses like the cold or flu viruses. Performance Lysol works very well to keep household surfaces sanitized especially when someone in the house is ill with a contagious virus. It is so easy to just spray it wherever you need to kill germs or mold and mildew. I would highly recommend this product to families with young kids and to anyone that wants to minimize germs spread in their home. Scent Lysol Disinfecting Spray has a nice, fresh scent. The scent is somewhat on the strong side but not too bad. It also comes in many different scents including; Fresh Linen, Lemon Breeze, Vanilla and Blossoms, Citrus Meadows, Summer Breeze, For Baby's Room, Crisp Mountain Air, Early Morning Breeze, Spring Waterfall and Jasmine and Rain. There is surely a scent that will appeal to most people.